For this prompt, I’d like to share a quote. It was published in a book called This Star Won’t Go Out, which is a collection of writings by and about Esther Earl. Where even a sliver of love exists, the thinnest of hopes has room to grow. I came across this quote recently and I really liked it, so, naturally, I thought I’d share it with you all! It’s been almost two years since I’ve done one of these, but I figured I might as well revive some older stuff since I have to post everyday! I haven’t posted in a while and I decided now is a good time. In case you didn’t notice, I’m not doing a theme for October. Anyway, here is a quote. I like this quote because if everyone had the same beliefs then the world would be pretty boring. If you think about it, it would be kind of like communism; everyone would have the same beliefs and everyone would have the same style and everyone would have the same decorations in their houses and I can go on but I won’t. This quote is pretty self explanatory. Actually, my computer is about to die and I want to get this posted now. I’ll probably post again soon! Oh! And don’t forget that commenting thing! So, I’ve decided to start a new series since I seem to have run out of ideas after I finished the A to Z Challenge. I’m also running low on ideas for Appreciate the Little Things. 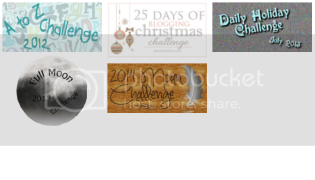 And of course, the Weekly Photo Challenge is only one post a week. Now that I’m done linking you to every other post, I’ll continue with this one. This should be pretty self-explanatory, but I’ll help you out. I’m going to post a quote, then explain what it means to me. I’ll try to have a variety of topics, but feel free to suggest some quotes or topics. Comment if you must. Okay, I’m done begging for attention. Here’s the first quote. This quote goes along with the belief that one never actually stops learning. Even though you aren’t in school, or taking classes or purposely trying to learn something, doesn’t mean that you aren’t learning anymore. A lot of people think that going to school is “Preparing” you for the real world, and after you finish school you stop learning, or “preparing.” But the truth is: you never stop learning. Personally, I’ve found that the times when I’m not learning anything, are the times when I’m incredibly bored. In order to reduce the amount of time I spend allowing my brain to idle, I make sure I always have something to work on. It could be reading, playing an instrument, doing an art project, researching something, playing with a pet, learning a new skill, or tons of other things. You don’t have to have your head buried in a textbook or be taking a test to be learning. Living your life is learning. Be alive. Go learn something.